We pride ourselves on providing outstanding service and support. Learn why Spectrum MDX is a leader in POCT solutions. Spectrum Medical Diagnostics Inc. is a leading supplier of drug test kits, alcohol testing kits and several other rapid diagnostic screening devices in Canada. With nearly 40 years of combined experience, Spectrum MDX has demonstrated a commitment to servicing medical diagnostic and drug and alcohol screening providers. We operate with strict compliance according to Health Canada regulations and we align our reputation and resources with ISO Certified companies. Our acquisition model prioritizes North American-made products and Canadian manufacturers when it comes to the alcohol testing & drug test kits and other screening devices we supply. We are constantly evolving by acquiring new, leading edge technologies. Product integrity and the application of education, prevention, treatment and management are the foundation to our professional success. At Spectrum MDX, our goal is to translate technology into sustainable, healthy, and safe solutions that accelerate patient treatment and overall productivity. We are committed to achieving better health outcomes by offering excellence and integrity in all that we do. We offer our customers a wide range of quality brands and products. Learn more about our rapid diagnostic portfolio. Instant drug tests (otherwise known as POCT or point of care tests) are used to rapidly detect the presence of prescription medications and illegal substances in urine. A number of high quality, accurate solutions are available for urine drug testing, including dip, cassette and all-inclusive cup designs that are Health Canada licensed and FDA 510(k) cleared. We offer our customers the option of fully customizing a configuration to suit any screening protocol. Specialty tests are also available for Fentanyl, Ketamine & K2 Spice. Instant oral fluid drug testing kits are used to rapidly detect the presence of various drug compounds in saliva. An absorbent collection device is placed in the mouth and the saliva collected is screened for drugs of abuse. Specimen collection is less hazardous and non-invasive. Since the test subject is present for the entire sample collection and screening process, the possibility of sample adulteration and/or substitution is eliminated. The detection time for oral fluid screening is approximately 30-60 minutes after ingestion. Rapid alcohol testing kits are used to determine whether a person is above the 0.02% screening cut-off level for alcohol. Multiple device options are available for alcohol detection, including rapid urine, breath and saliva tests, as well as Evidential Breath Testers (EBTs) or Breathalyzers. Some products are also DOT approved, ideal for workplace screening protocols. The breathalyzers are precision hand-held breath alcohol analyzers, known for reliability, ease of use, and long life-span. A wide array of easy to use breathalyzers are available to suit any screening requirement, including pre-employment, post-accident, random, or DOT-mandated alcohol testing. In fact, many alcohol screening devices are designed for high productivity for in-office or mobile environments. Adulterants are foreign substances either ingested or added directly to a urine specimen to prevent the detection of drug use and mask substances. Promoted as “cleansing agents,” these substances range from everyday household items to specific chemical additives easily obtained via the Internet. The use of adulterants can cause false negative results in drug tests by destroying the drugs present in the urine or interfering with the test itself. A rapid test is available for visual determination of various adulterants, including Creatinine, Glutaraldehyde, Nitrite, Oxidants, pH & Specific Gravity in urine. This test is used to assess the integrity of urine samples prior to Drugs of Abuse Urine (DAU) testing, in order to determine if the sample has been adulterated. Rapid POCT devices are available for the qualitative detection of Cotinine in human urine. Cotinine is the first-stage metabolite of nicotine. Since the window of detection for nicotine is relatively short (approximately two hours), cotinine extends the window of detection for several days and is the preferred method of screening for tobacco use. A number of rapid, qualitative tests are available as part of our Fertility product menu, including hCG (human chorionic gonadotropin), LH (ovulation) and FSH (menopause) in human urine specimens. These tests may be purchased in cassette, mid-stream or dip formats and are ideal for professional / clinical use. Our range of point of care rapid tests provide a highly accurate, cost-effective and easy to use solution for the detection of pathonogenic micro-organisms such as bacteria, parasites, viruses and fungi. A comprehensive menu of liquid urine control material designed for routine monitoring of accuracy and precision on rapid point of care screening devices, including toxicology, hCG pregnancy, cotinine and more. Spectrum Medical Diagnostics, Inc. now offers web-based DOT Regulated and Non-Regulated Drug Collector Training and Certification designed to comply with all corporate drug screening policies. Our service and support programs offers organizations a more streamlined approach to training, ultimately lowering costs, maximizing efficiency for all parties involved and implementing best practices for drug & alcohol screening. Spectrum Medical Diagnostics, Inc. is pleased to launch a new paperless system designed to offer real-time results, tracking, & reports as part of a comprehensive solution for POCT screening! This state-of-the-art technology was designed for organizations to view results instantaneously following a collection. Results can be viewed within the on-line platform or delivered via fax or email. 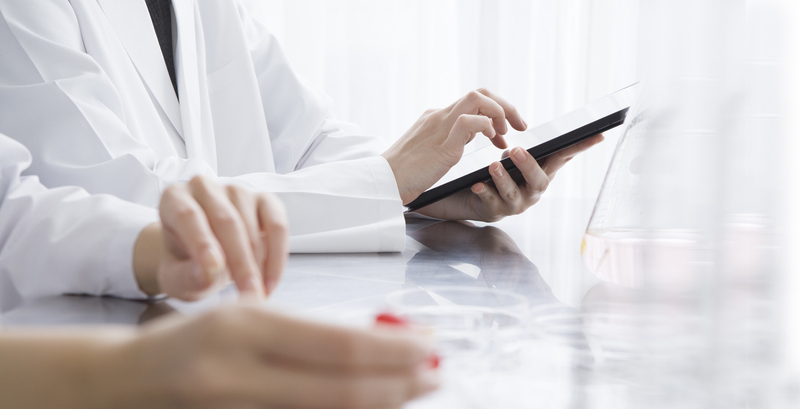 This web-based, protocol-driven software program allows test administrators to perform consistent & efficient drug testing collections each time. Plus, our sophisticated platform significantly minimizes collection errors and incorporates customer-specific processes to ensure staff members are compliant with all standardized procedures.